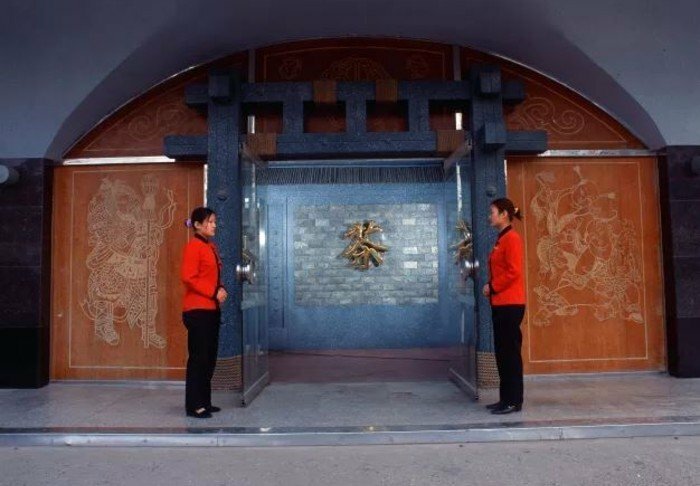 Here, you can find out more about the hotels that we use during our tours to China. 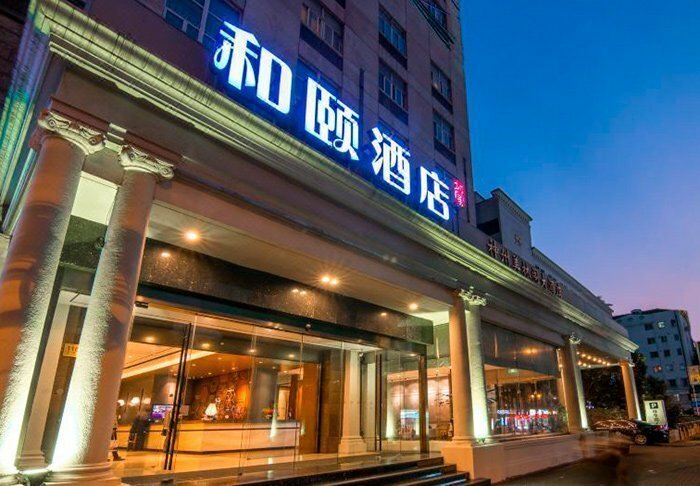 Dong Fang Hotel is centrally located in a lovely, quie, local area where you gain a good insight into everyday life in Beijing. 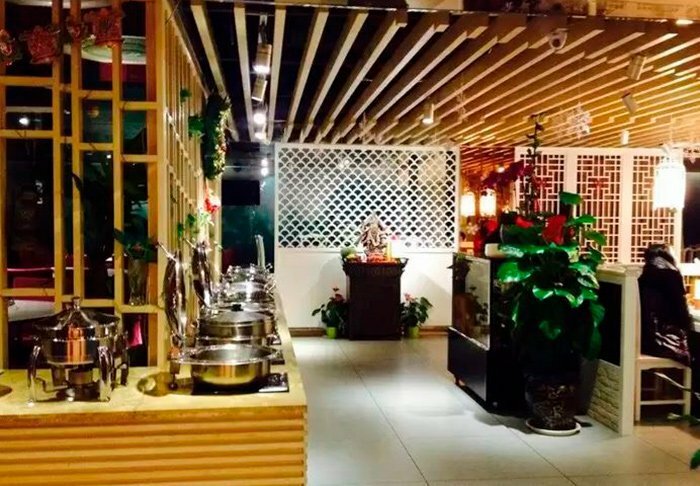 On your doorstep, you will find small grocery stores and restaurants where you will see the locals queuing in the morning. 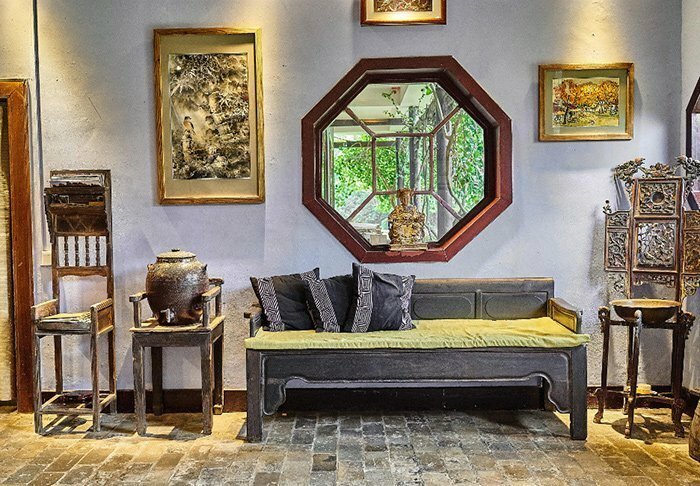 In the small, cosy streets around the hotel, you will find the iconic hutong streets, which ooze culture. 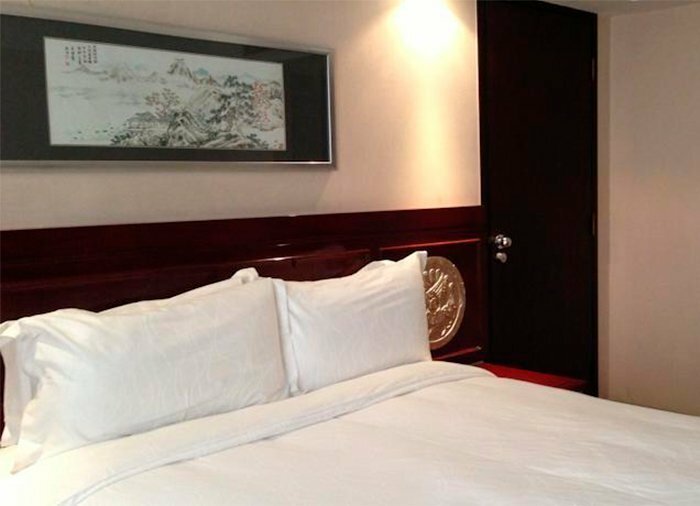 The Temple of Heaven Park is located about a 15-minute walk from the hotel, and Tiananmen Square and the Forbidden City are relatively close. 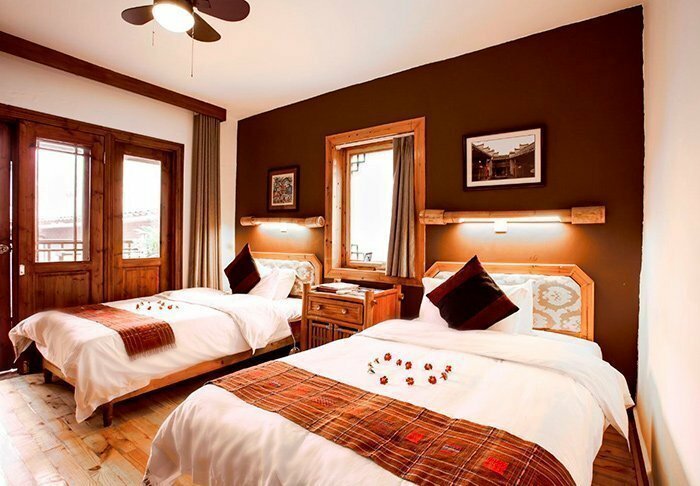 Dong Fang Hotel has a total of 288 rooms decorated in warm colours with dark wood furnishings. 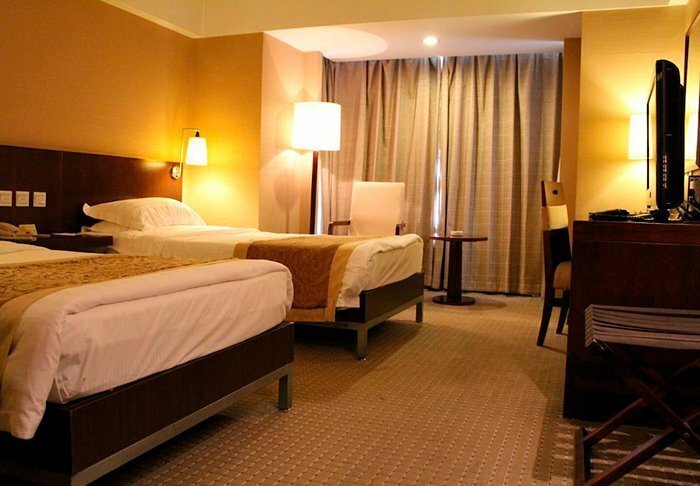 All rooms have air conditioning, Wi-Fi, tea and coffee making facilities, a TV and a bathroom with toiletries and a hair dryer. 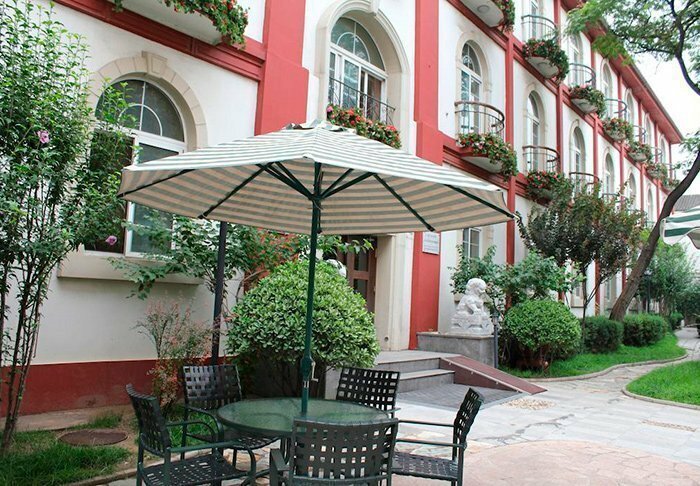 The hotel has a lovely courtyard garden where you can relax and watch Chinese tourists practising Tai chi. 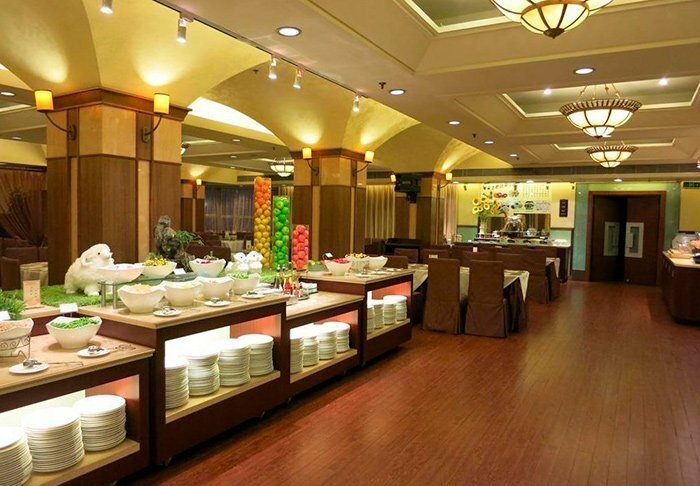 There is also a Chinese restaurant, while Western dishes are served at the “Old House 1918 Coffee Shop”. 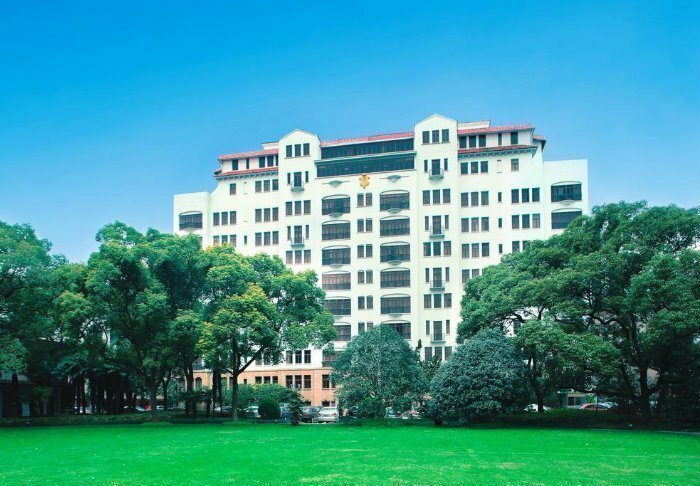 Situated in the heart of Chengdu is the Jaho Forstar Hotel, walking distance from many of Chengdu’s sights and attractions, including Wenshu Monastery and Tianfu Square. 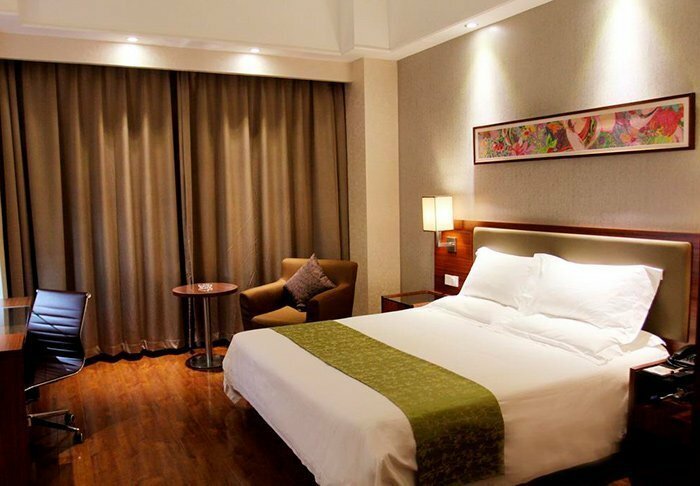 All 170 of the hotel’s rooms are soundproofed and have individually-controlled air conditioning. 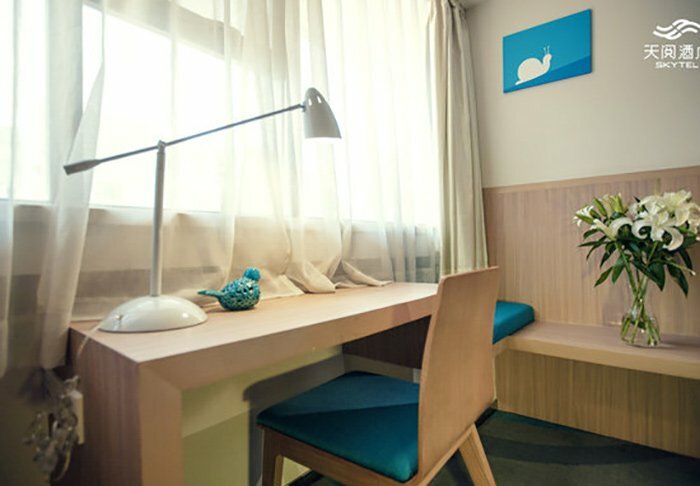 In addition, they have a flat-screen TV, a minibar, an electric kettle, a small fridge and a small seating area with a sofa and armchairs, as well as an en suite bathroom with a hair dryer, slippers and free toiletries. 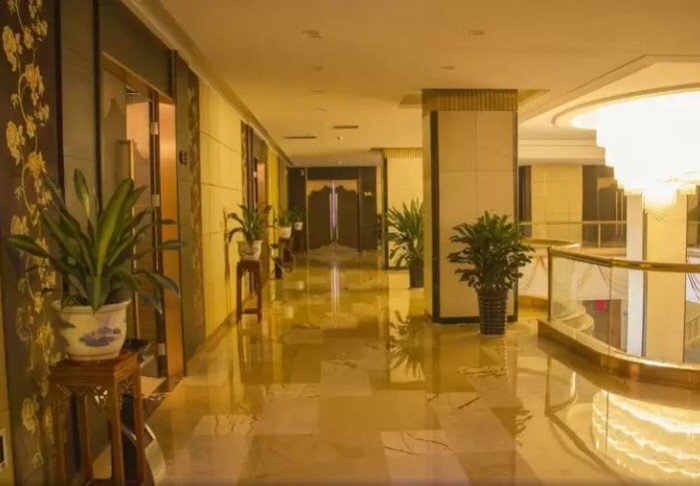 The hotel has its own restaurant serving a mix of Chinese and Western dishes, as well as its own day spa, where you can purchase relaxing massages. 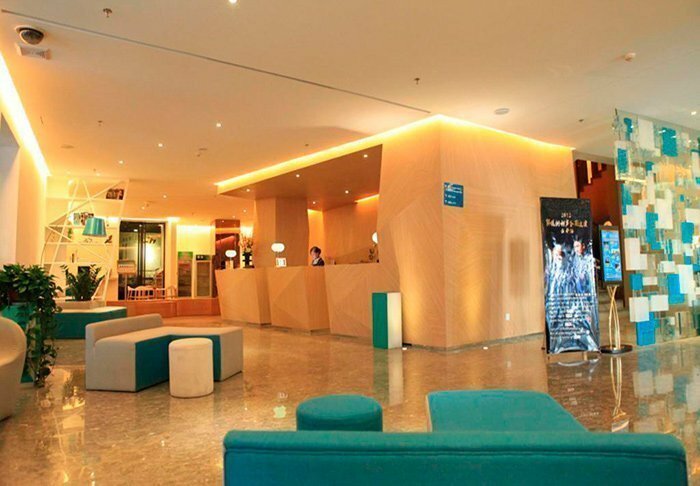 In the hotel’s 24-hour reception, you can purchase excursions or rent bicycles to explore the city on your own. 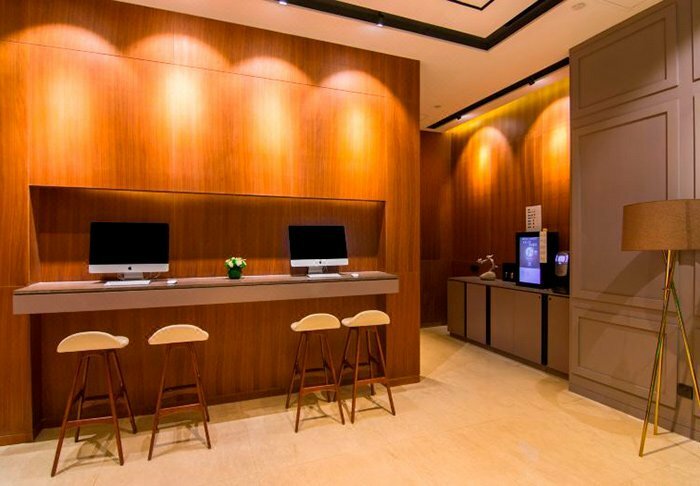 There is free Wi-Fi throughout the hotel. 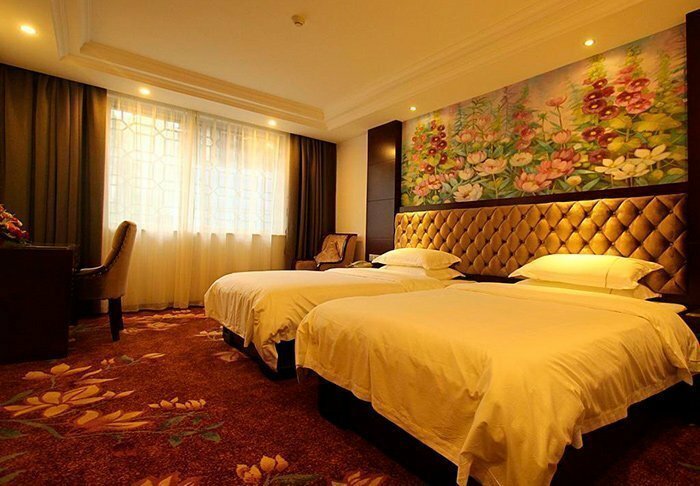 The Peony Hotel is centrally located in Luoyang’s commercial area, close to restaurants, tea houses and the Jianhe River. 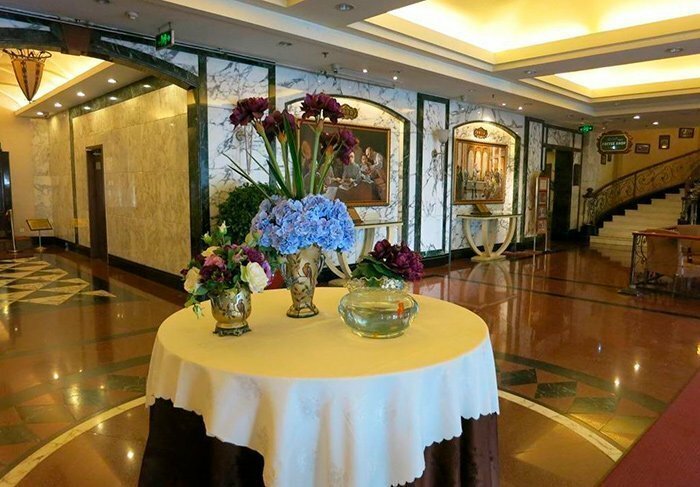 Just a few minutes’ walk from the hotel, you will find Wangcheng Park, one of the city’s largest parks, planted with more than 10,000 peonies and one of the main celebration venues of the world-famous annual peony festival. 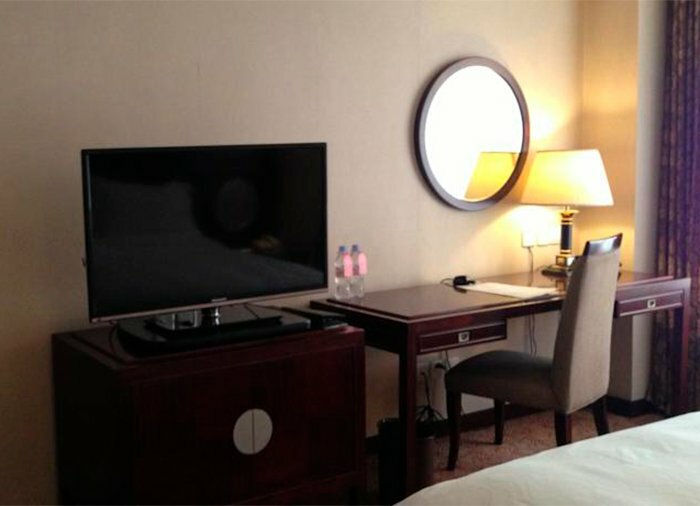 The hotel rooms are furnished with elegant dark wood furniture and are all equipped with Wi-Fi, a TV, air conditioning, an electric kettle and a safe. 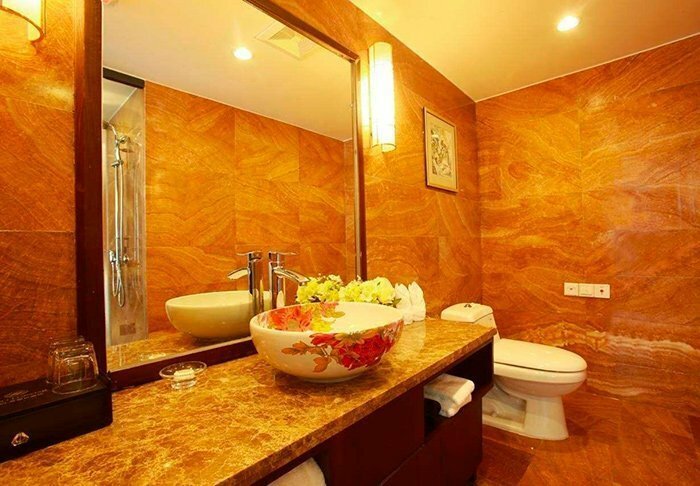 Each room also has its own bathroom, featuring a hair dryer and toiletries. 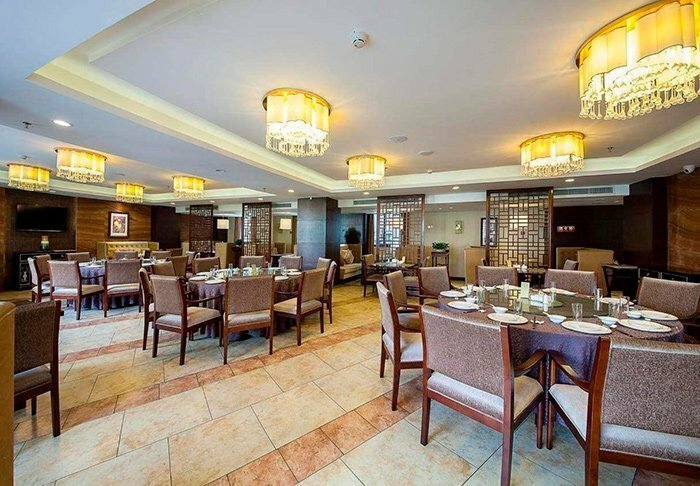 The hotel restaurant serves both Western and traditional Chinese dishes, and you can sit and enjoy a drink in the bar at the end of an eventful day. 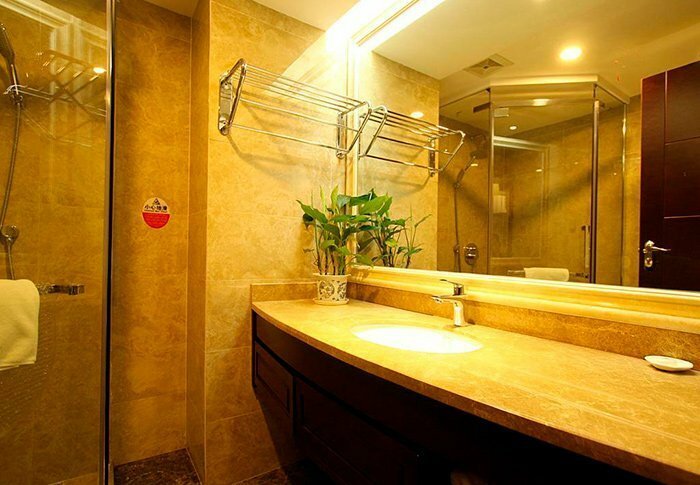 You might also like to treat yourself to a relaxing massage, a sauna, or a visit to the beauty salon. 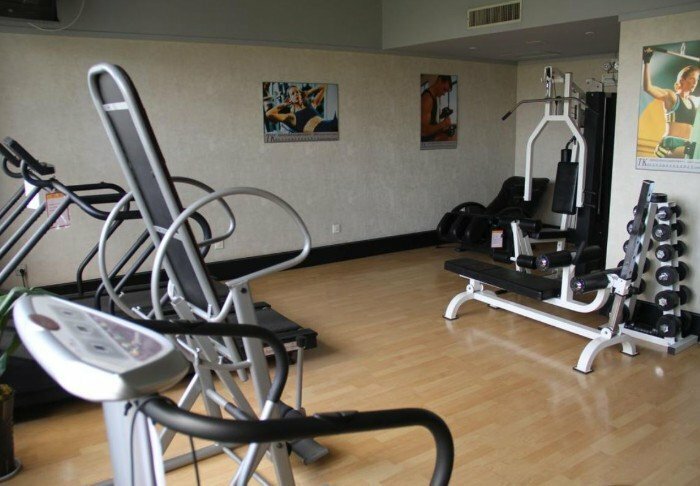 If you wish to be active, you can also make use of the gym facilities or play a game of chess, poker, billiards or table tennis. 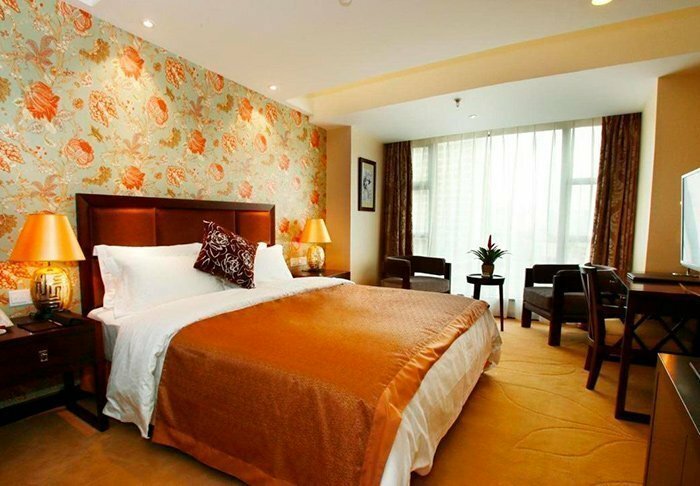 Jing An Hotel is located in Shanghai’s business district, close to Jingan Temple, shops and the Metro. 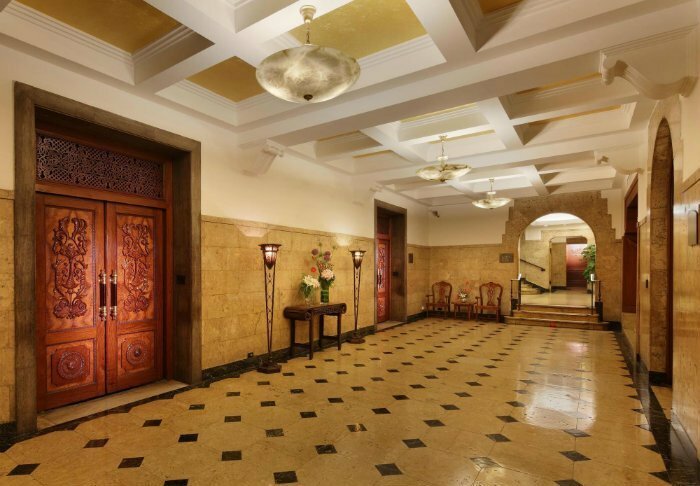 Built in 1935, the hotel building is decorated in classic Spanish style with dark, elegant wooden furniture. 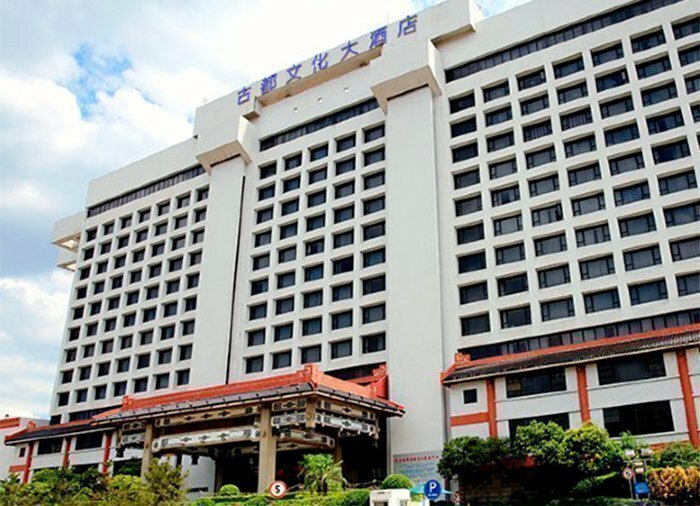 The hotel has 126 spacious rooms, all with Wi-Fi, air conditioning, a safe, TV, telephone and a bathroom with toiletries and a hair dryer. 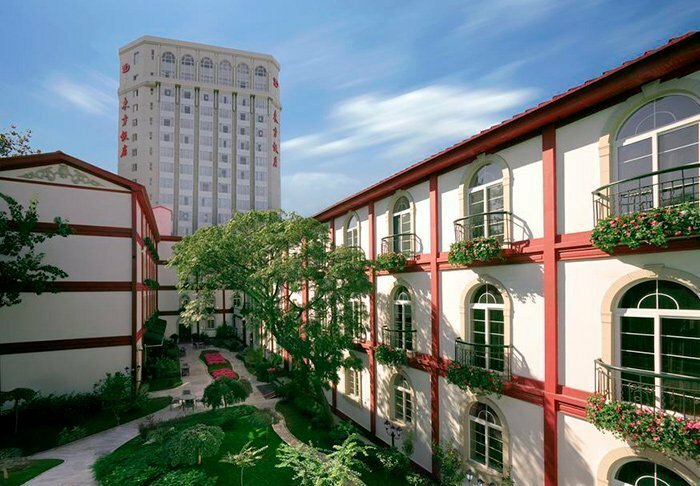 The rooms afford a lovely view of the garden. 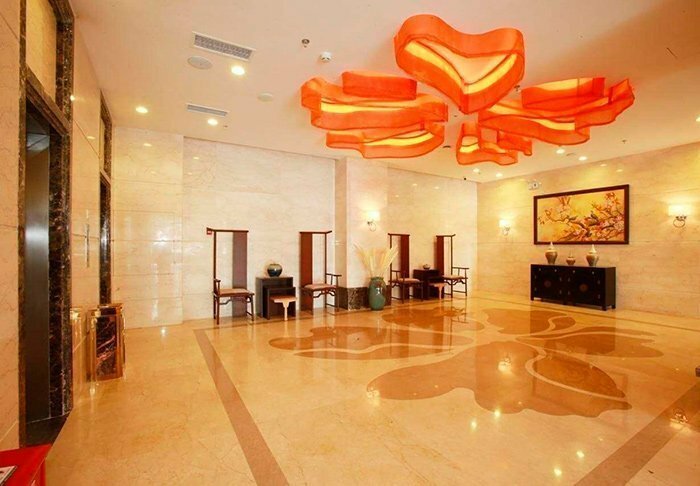 Jing An Hotel offers facilities such as a restaurant, gym, beauty salon and a coffee bar. 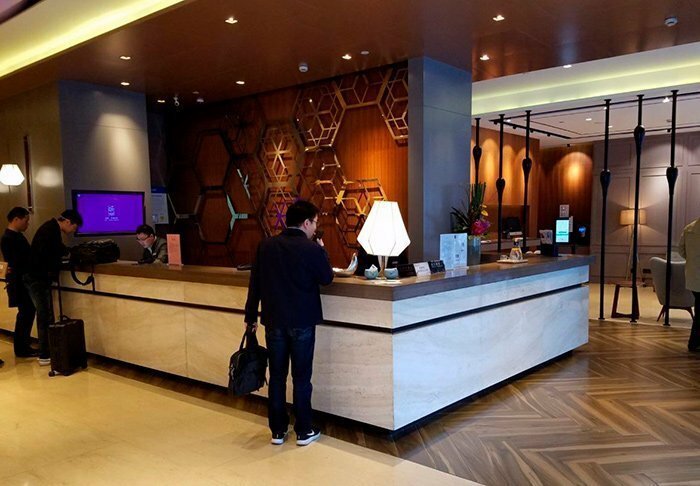 Heyi Hotel is located in Shanghai’s business district, close to Jing’an Temple, Jing’an Garden and West Nanjing Road and the great shopping it offers. Right on your doorstep, you’ll find grocery stores and restaurants. 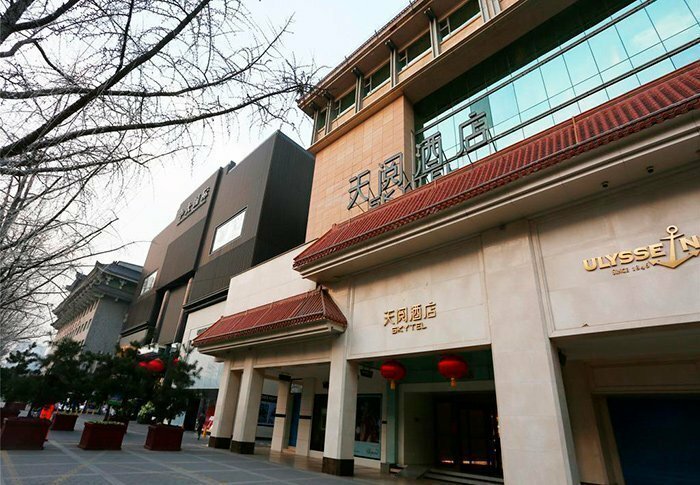 Thanks to the nearby metro stations, there are good connections to all of Shanghai. 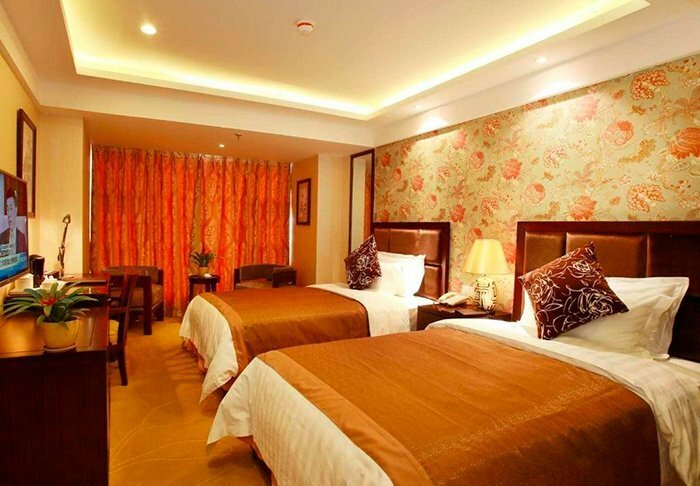 The rooms are pleasant, comfortable and modern. 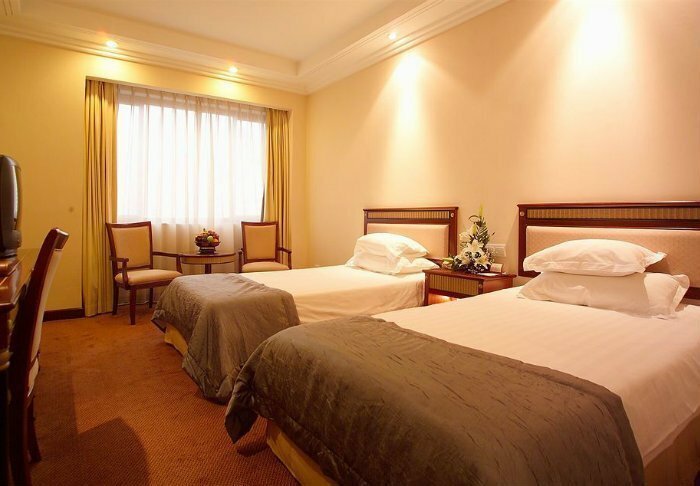 They are all have air conditioning, Wi-Fi, a TV, a telephone, tea/coffee making facilities and a bathroom with a hair dryer and toiletries. 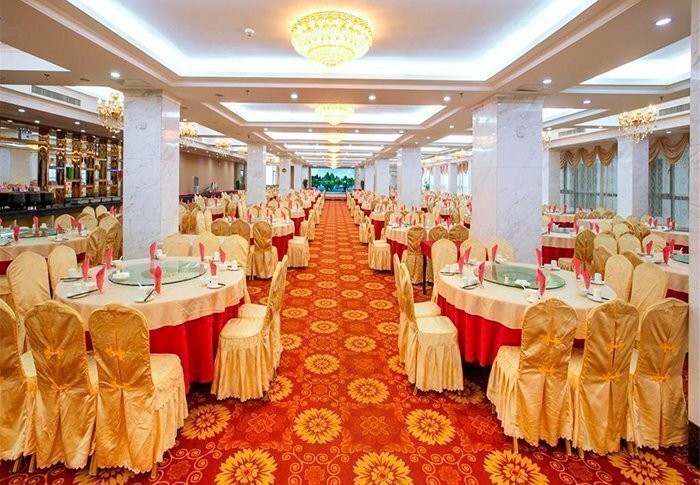 The hotel also has a lovely restaurant where you can enjoy both Chinese and Western dishes. 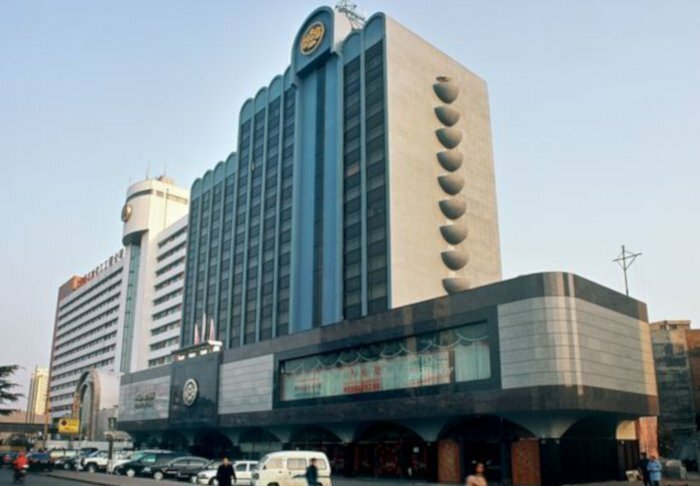 Located in the heart of Xian, close to the city wall, the Great Mosque and the Drum Tower, the hotel has 471 rooms, all with a range of modern conveniences such as WiFi, air conditioning, satellite TV and a minibar. 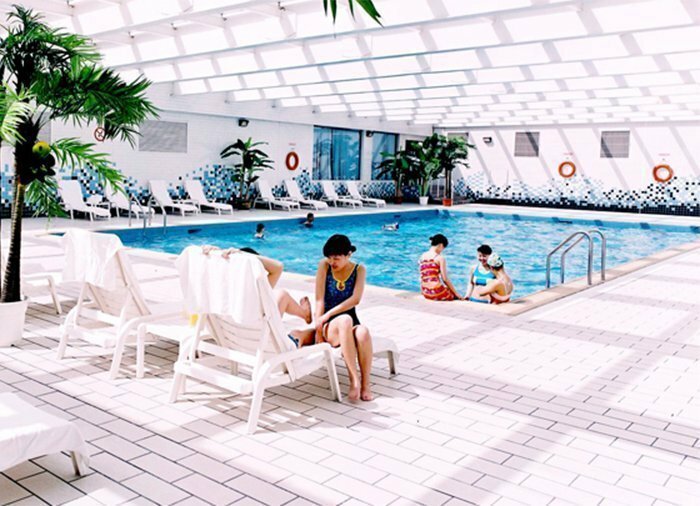 Facilities at the hotel include a fitness centre and an indoor swimming pool, and guests can also enjoy massage treatments. 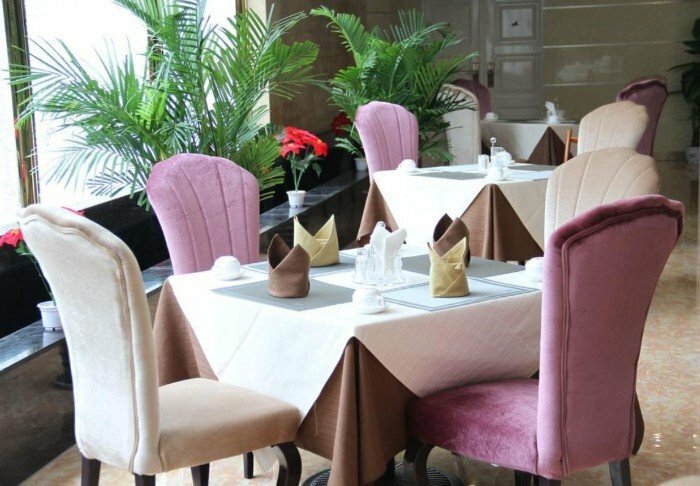 The hotel restaurant serves both local specialities and international cuisine. 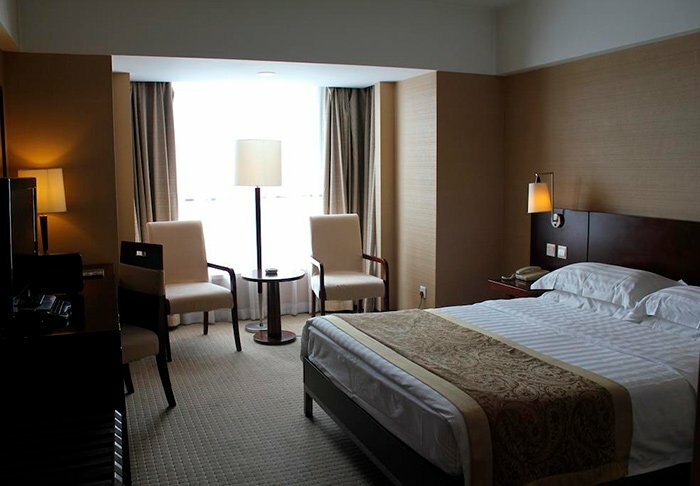 The Skytel Hotel enjoys an excellent location inside Xi’an’s ancient city wall and almost couldn’t be more central. 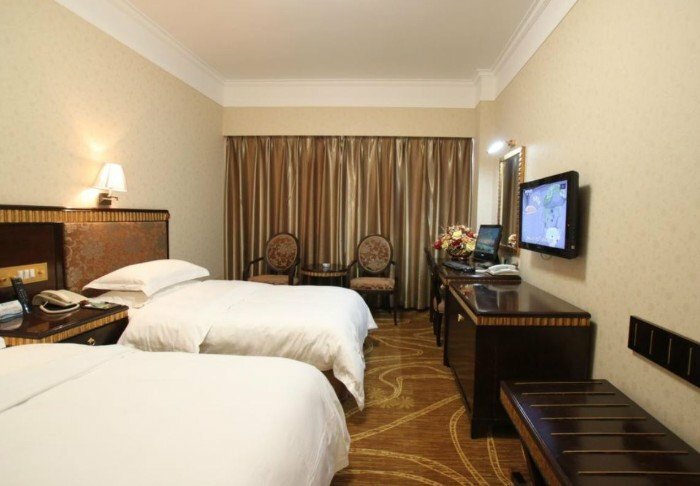 Within walking distance of the hotel, you will find the Bell Tower, the Drum Tower and the Muslim Quarter with its bazaar, the Great Mosque and the many street kitchens on the street, Huimin Jie. 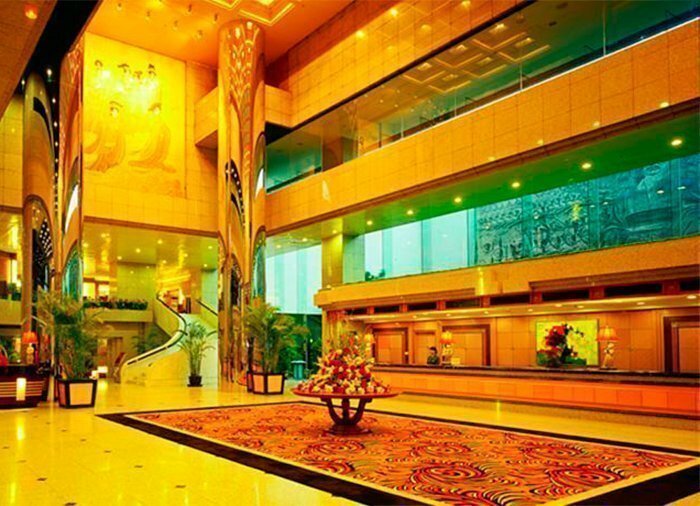 The hotel is also surrounded by world-class restaurants and shops. 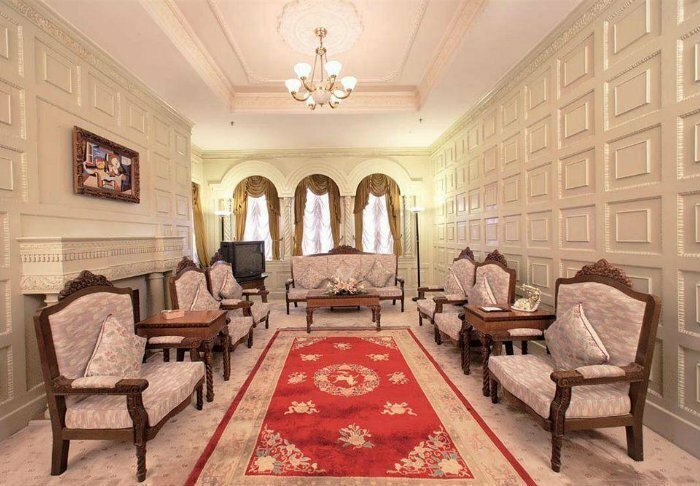 It has a total of 175 lovely rooms spread over seven floors, all with Wi-Fi, air conditioning, a TV, a fridge, a telephone, a safe, tea/coffee making facilities and a bathroom with a hair dryer and toiletries. 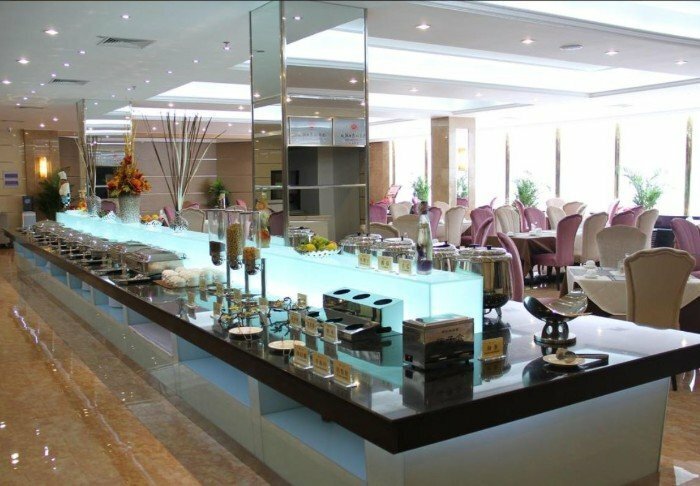 The hotel has a a tea lounge and a restaurant where breakfast, lunch and dinner are served. 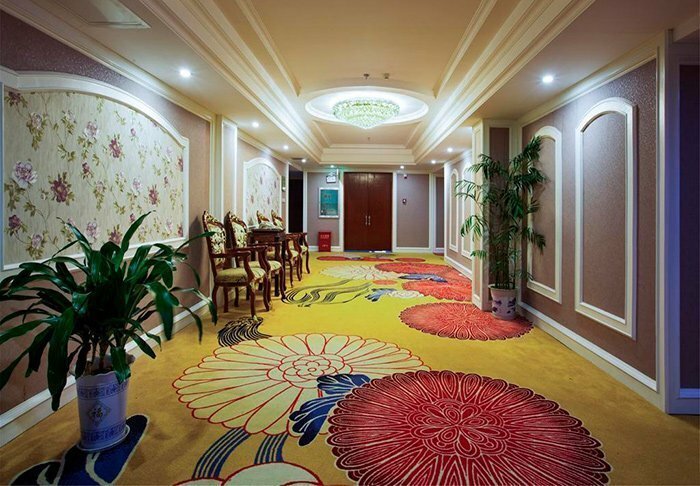 Other amenities at the hotel include a gym, sauna and massage room. 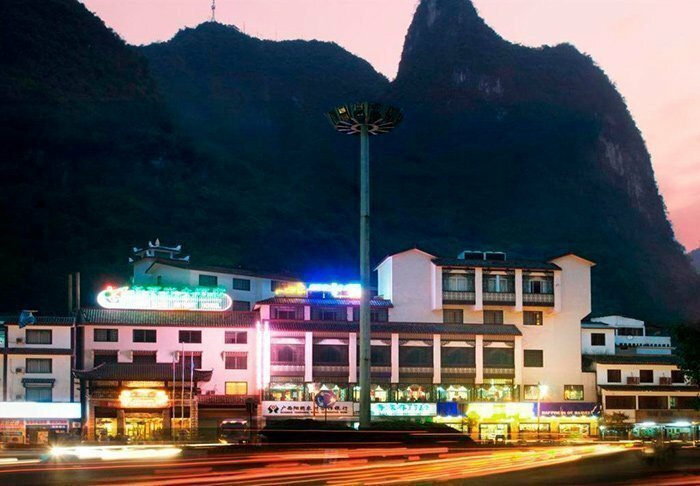 The New West Street Hotel is a mere 10-minute walk from Yangshuo town centre and just steps away from the famous West Street, where Western and Eastern culture flow into one. 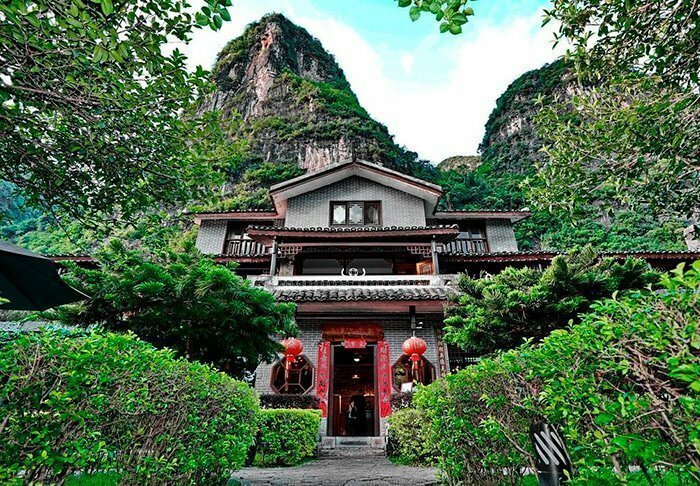 Across from the hotel, you will find the scenic Yangshuo Park, where you can see the locals doing Tai-chi in the morning, or climb the steps up to the pagoda on the limestone mountain and enjoy the view of the town and the green mountains surrounding it. 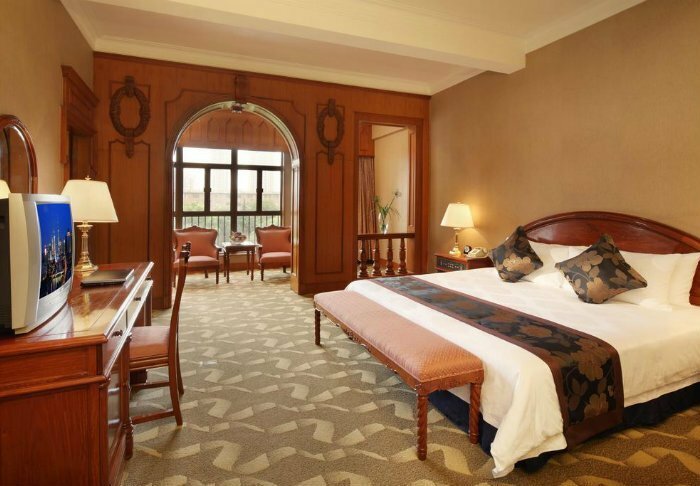 The hotel has a total of 142 elegant rooms furnished with elegant dark wood furniture and decorative carpets and paintings. 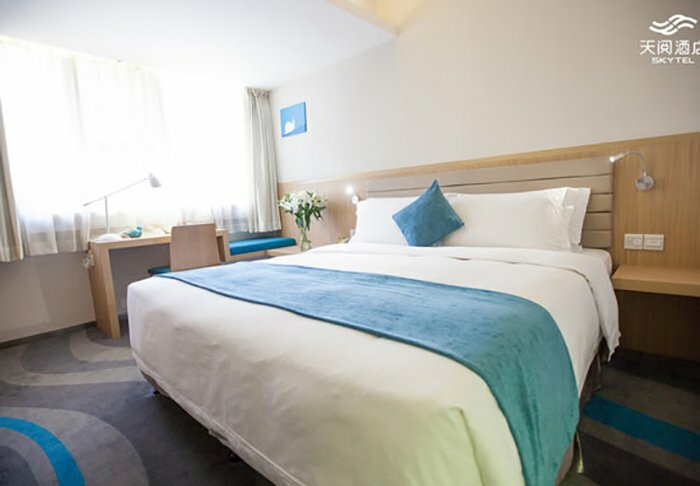 All rooms have Wi-Fi, TV, air conditioning, a telephone, a fridge and a safe, not to mention an en suite bathroom with a hair dryer and toiletries. 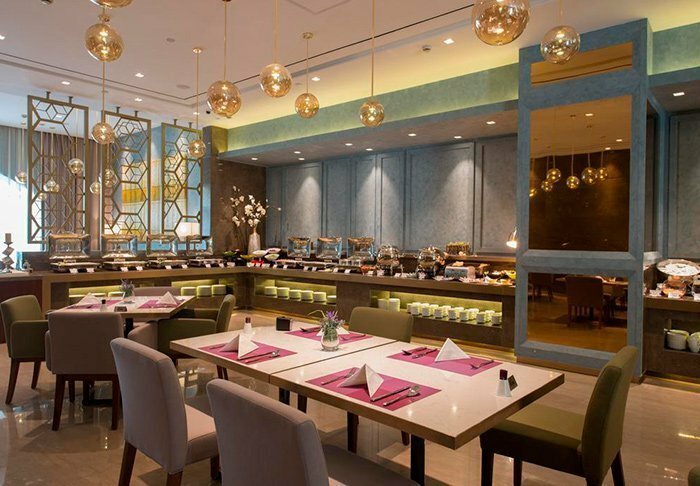 A continental breakfast is served in the hotel restaurant, where you can also enjoy your lunch and dinner and enjoy traditional Chinese dishes. 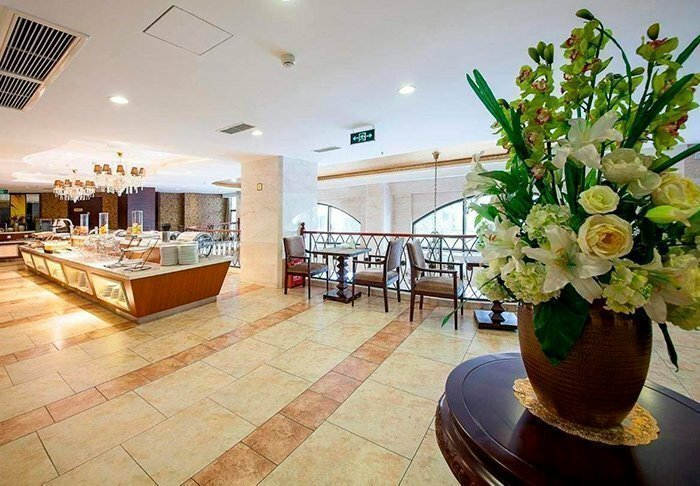 After an exciting day of sightseeing, you can enjoy a drink in the hotel bar, which is open around the clock. 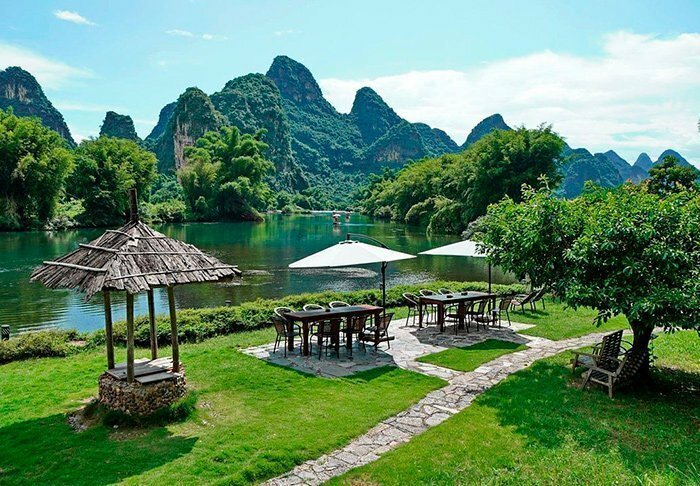 Located in breathtaking surroundings with leafy trees and green limestone mountains on the banks of the Yulong River just outside Yangshuo is the serene Yangshuo Mountain Retreat. Find your inner peace, immersed in the stunning nature. 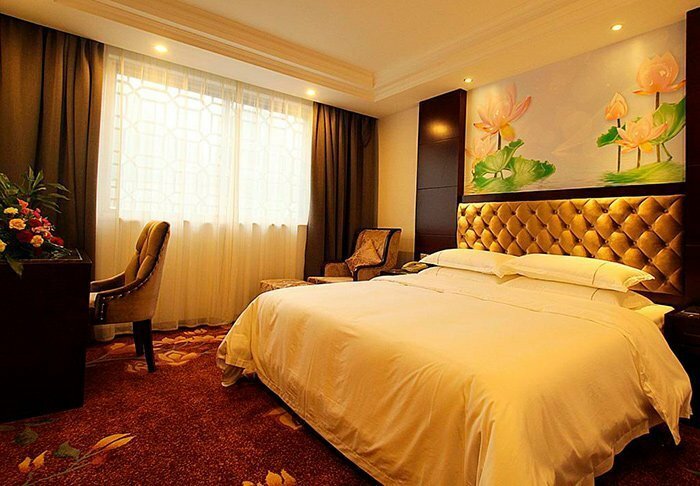 The stylish rooms are furnished with traditional Chinese beds and calming colours on the walls. 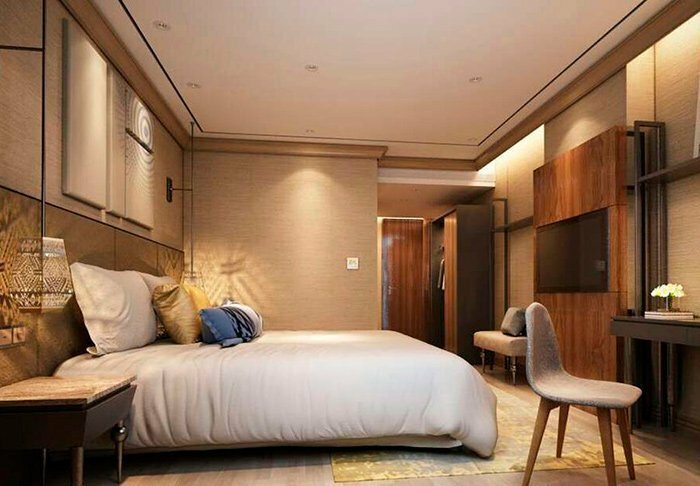 In each room, there is air conditioning, a minibar, a safe, Wi-Fi and an en suite bathroom, but there is no TV or telephone, allowing you to enjoy the wonderful, relaxing surroundings to the full. 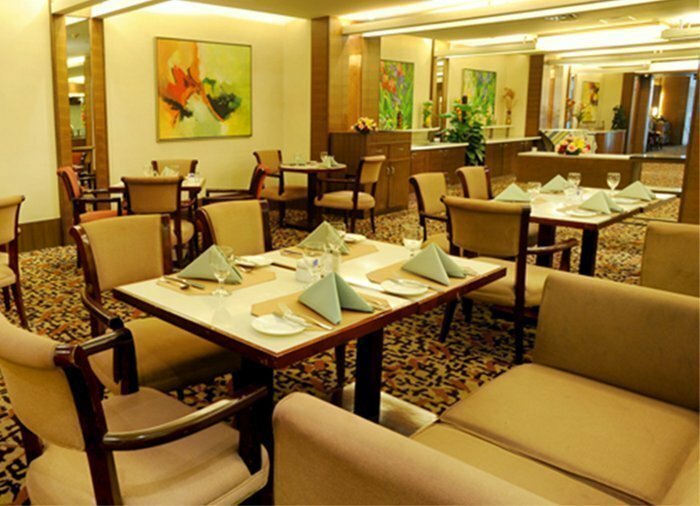 The hotel’s restaurant serves both local specialities and Western favourites, all made from fresh, local produce. 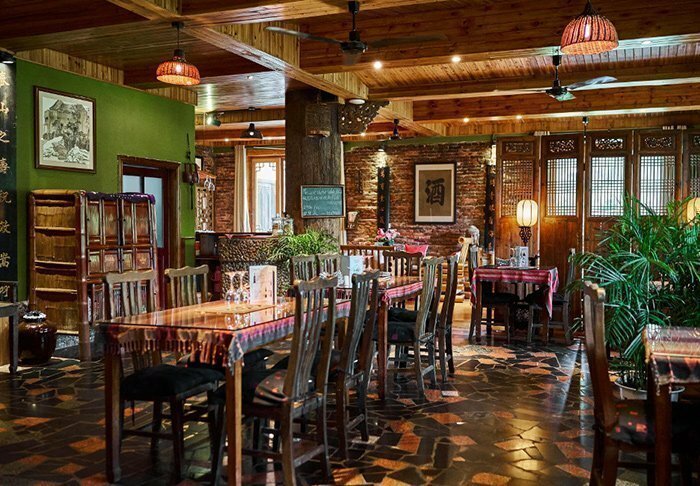 You can choose to eat the delicious food inside the restaurant, or you can sit out at the riverside dining tables and enjoy the nature. 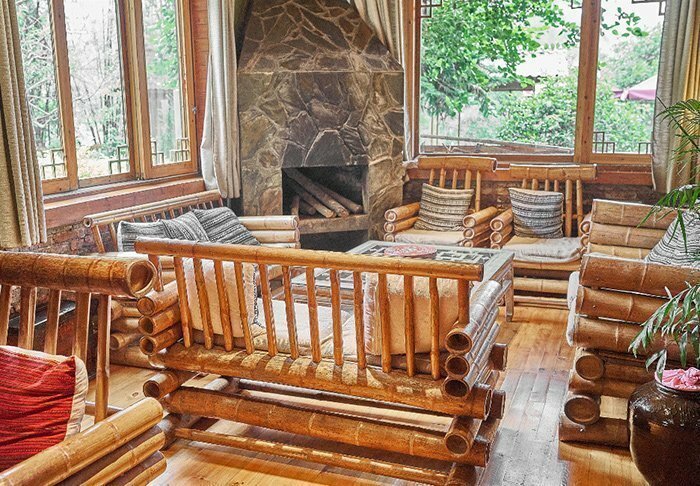 In the hotel’s Bamboo Bar, you can sit in the comfy bamboo sofas in the lounge area, where you can play board games, read a book or listen to relaxing music while sipping one of the bar’s long list of cocktails. 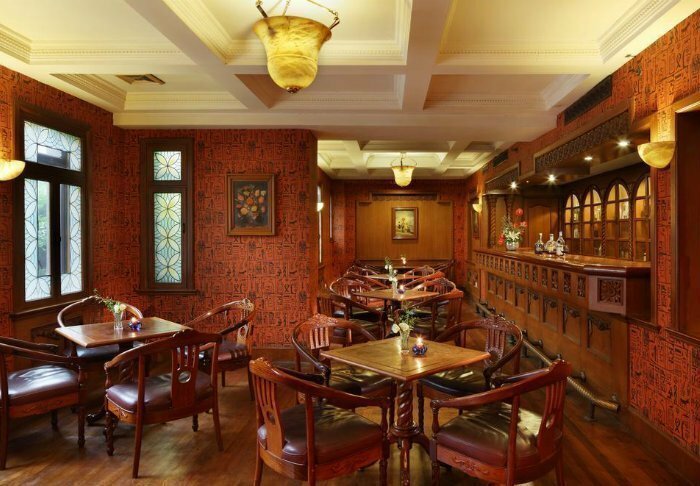 In the summer, you can be cooled down by the cool air of the bar’s air conditioning, and in winter you can let the warmth of the fire’s flames cocoon you.